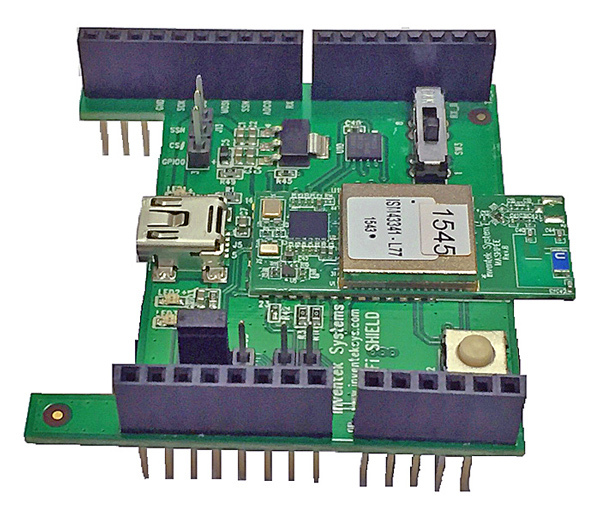 The Wi-Fi module hardware consists of a Cypress CYW43903 SOC with ARM Cortex-R4 clocked at 160 MHz (in 1× mode) or up to 320 MHz (in 2× mode), an integrated antenna or optional external antenna, 1 MB of SRAM and 640 KB ROM available for the applications processor. 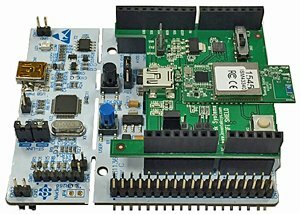 Bluetooth 4.0 or 4.2 including BLE support. 2.4GHz (ISM43362,ISM43903,ISM4343,ISM43364) or 2.4/5 GHz (ISM43340), chip antenna on module.